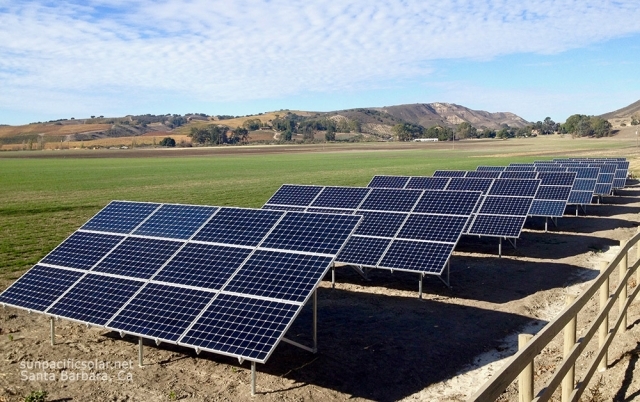 Agricultural solar water systems are now more affordable and efficient than ever before! Are you still pumping your agro water with a generator? 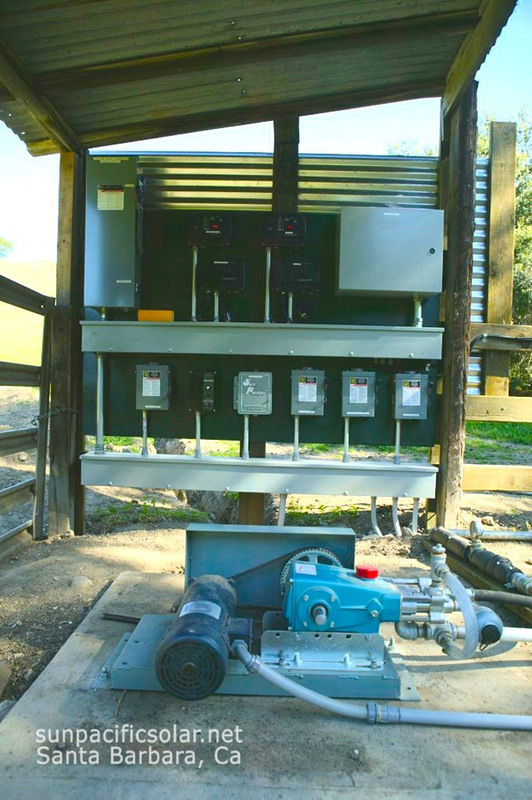 New solar electric water pumping technology is available now, and our sun-powered systems will save you money. Solar water pumping can provide you with irrigation water during daylight hours when you need it the most. 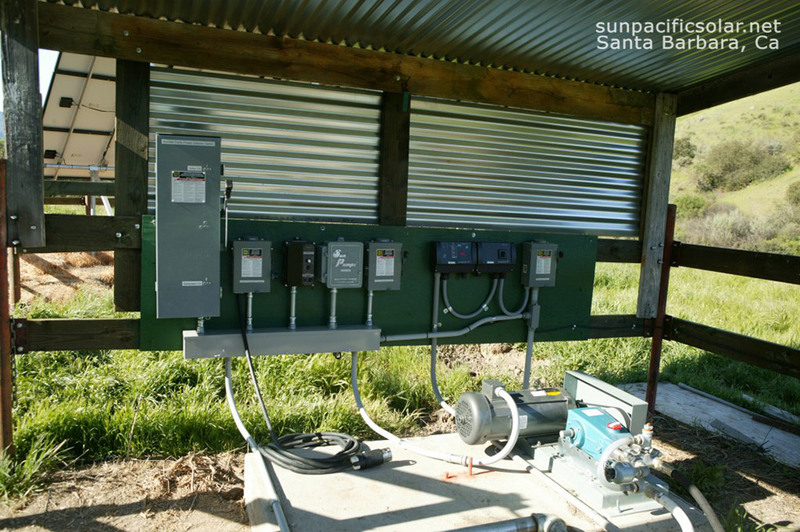 Keep your livestock and produce supplied with fresh water using agricultural solar water pumping from Sun Pacific Solar Systems. All of the electrical work required to install your system is done in house by our licenced and trained electricians. 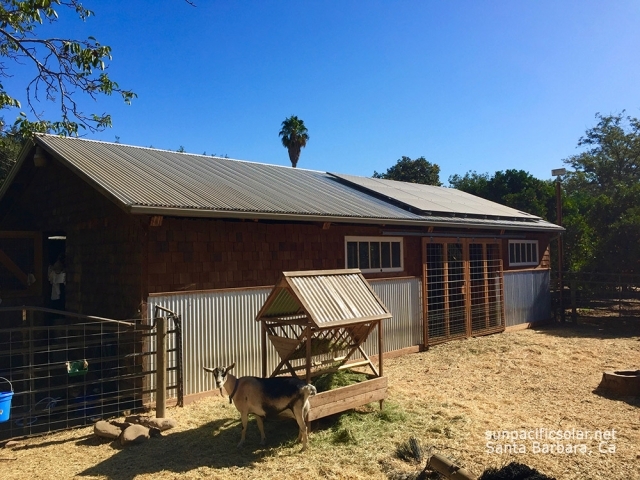 “For decades I lived on a remote section of the Hollister Ranch where there were no utilities available except what we created ourselves. Critical to being there was a 480′ deep well which worked great until it ran dry, and we had to drill a new one. 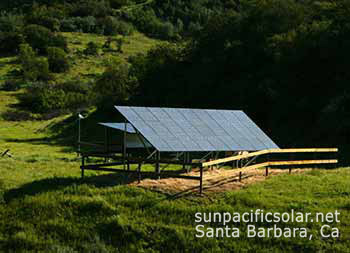 Sun Pacific Solar took the depth of the well, the GPM, our water needs and sized a pump and solar system to meet our requirements. Everything was done neatly and professionally and the system has been working perfectly for five years now.” – Paul K.
Save or eliminate fuel and maintenance costs. No inverters or batteries required. Your pump runs when the sun shines! Runs your existing three-phase 240 volt or 480 volt pump up to 100HP. Variable frequency drive soft starts the motor, automatically adjusts to available light conditions. 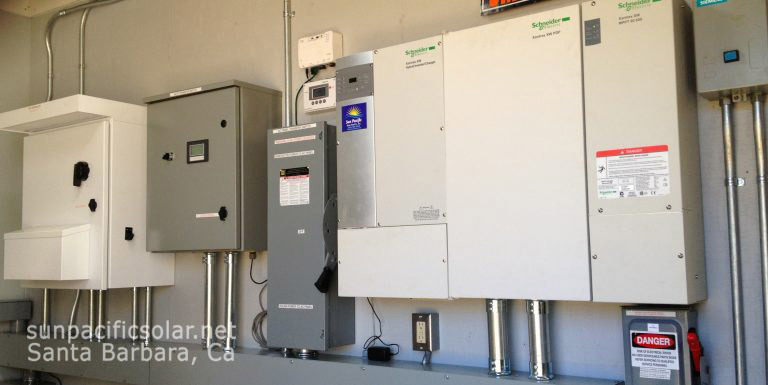 These systems also qualify for 30% federal tax credits! Automatic transfer to backup system. 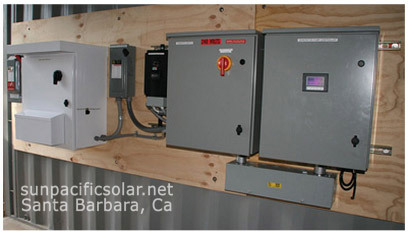 Solar powered corrosion and scale control.